Drees Homes is a family owned builder based in the Midwest. Design Gallery is the custom division of Drees Homes. They have a reputation for building quality, homes, with the flexibility of building in buyers’ preferred locations. Drees/Design Gallery can build on any lot. Maybe you’ve seen the billboard on 465 between 31 and Keystone with the beautiful house and very simple statement: “Build on your own lot.” If you own an existing lot, such as a family estate, Drees/Design Gallery can build your dream home right there. They take care of the permits and utilities, making the process seamless. And, if you don’t own a property to build on, Drees/ Design Gallery works with you to locate and purchase a lot: Drees/Design Gallery will buy the lot and combine the home with the lot so you only have one closing, saving you time and money. See if before you buy it. 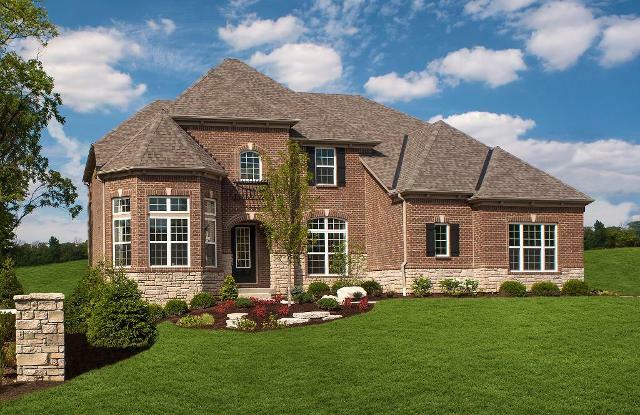 Drees /Design Gallery has model homes available in neighborhoods all over Indianapolis for buyers to walk through. This means that instead of having to visualize the layout and design, buyers can walk through a house and make an informed decision about what they want! Currently, Drees/ Design Gallery has 25-35 spec homes that buyers can walk through to see each phase of a build process before they sign. Typical custom builders can’t provide this option. It’s easier and simpler to design your home. Typically, custom builders work with a variety of distributors for finishes such as cabinetry and flooring. Buyers have to consult with multiple different distributors at different locations. Drees/ Design Gallery on the other hand, has all of their distributors housed in one local design studio. This makes it simpler and more fun to make these important decisions. Additionally, Drees/ Design Gallery has Professional Designers available to help create a cohesive look that fits buyers’ wants and needs. Simple process for handling warranties. Drees/ Design Gallery handles all of their warranties through one office, so when buyers have a question or a problem after moving in, there is just one department to call. This department make sure that the client is connected with the right vendor, and may even handle scheduling appointments. This is a huge resources for new homeowners. Custom builders usually work with multiple warranty companies, so hand line issues takes more time and work for the buyer. Overall, it’s less expensive! When buyers work with Dress/ Design Gallery, they start with an existing floor plan template and make revisions (ex: making the master bedroom larger, putting a game room upstairs, adding additional garage space, finishing the basement). “96% of Dree/Design Gallery homeowners surveyed said they would recommend Drees/ Design Gallery to their friends and family.” Drees/ Design Gallery creates an exceptional experience for homebuyers. Read more about the Drees/ Design Gallery experience on our recent Builder Spotlight featuring Steve England!